For those who have been injured and are unable to return to work, Social Security Disability can be a big help. If you have paid into Social Security for five of the last ten years and have a qualifying mental or physical disability, you are considered “insured,” or able to receive Social Security benefits. Your eligibility and the length of time you will receive the benefits will be determined based on your type of disability, medical information, your age, work history, education, vocational training, and any special skills you may possess. Navigating the confusing maze of Social Security benefits by yourself can be difficult, and that might be an understatement. Almost 90 percent of Social Security Disability claims are denied the first time around. That means many people who legitimately have disabilities and need those benefits are going without. Frustrated and not understanding the process, they give up. 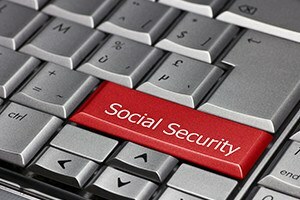 If your social security benefits have been denied, now is not the time to give up. Instead, make a call to Pulgini & Norton, your New Bedford Disability Attorney. Our attorneys have nearly 40 years of combined experience and can help with each step of the process. Our services include filing initial claims, gathering medical documentation, and walking you through the appeal process, among others. When looking for the right disability attorney, accessibility and experience are important. You can have peace of mind knowing that your case won’t be handed over to a paralegal or an inexperienced associate. We make sure our experienced attorneys are the ones to personally handle your case. We will take your phone calls when you have questions and make sure you know exactly what is going on with your case. Social Security Disability benefits are there to help you take care of your needs and the needs of your family. A qualified Social Security Disability attorney can make sure you are getting the full benefits you deserve. Call today for your free consultation with Pulgini & Norton.